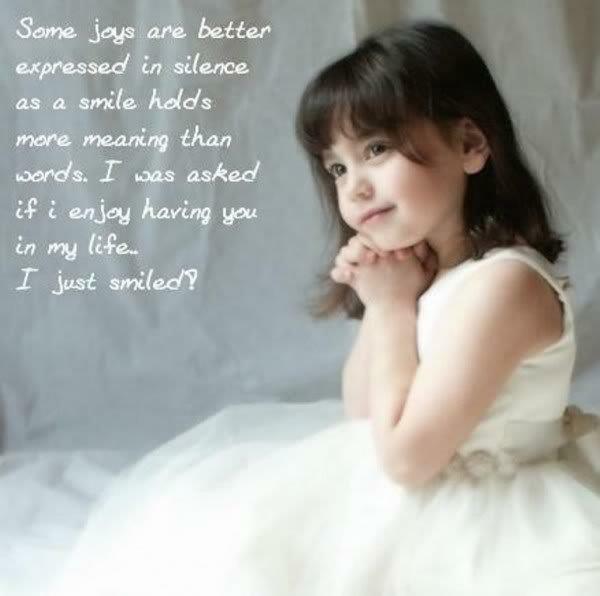 "Same joy are better expressed in silence as a smile holds more meaning than words. I was asked if i enjoy having you in my life... I just smiled..."